Premier League side Brighton and Hove Albion have made an offer to sign Bolton Wanderers youngster Luca Connell, according to reports from reliable journalist Alan Nixon. The 17-year old has caught the eye for Bolton in recent weeks, in what has been a truly dismal season for Phil Parkinson’s men thus far, and they could be resigned to losing their talented youngster due to their precarious position in the league table. The midfielder marked his first senior start with an assist for Mark Beevers in Bolton’s FA Cup defeat to Bristol City over a fortnight ago, and was reportedly watched by top-flight clubs Tottenham Hotspur, Burnley, Southampton and Brighton in Bolton’s clash with Reading last month. But reports now claim that the latter have made an offer to sign the young Irish star, who has started in the Trotters’ last three league games. Phil Parkinson’s men are currently in turmoil at the bottom end of the Championship. The Trotters, after a 2-1 home defeat to Preston North End at the weekend, currently sit four points adrift of safety in 23rd position. 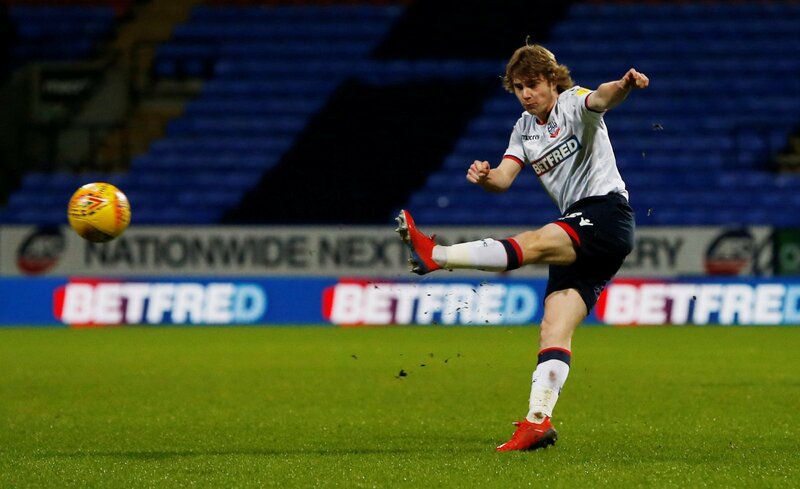 Connell has really impressed me in recent weeks, and it speaks volumes that whilst Bolton are fighting for their lives at the bottom of the table, Parkinson has seen enough to start the 17-year old in what is an important stage in club’s future. The lure of a move to a Premier League club could be too much for both Connell and Bolton to turn down. From a financial gain, his sale could be beneficial for a club like Bolton, so it really is a tough one.